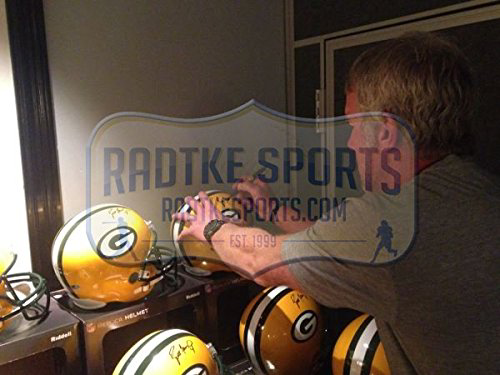 A GREEN BAY PACKERS FULL SIZE RIDDELL REPLICA HELMET HAND SIGNED BY QUARTERBACK BRETT FAVRE. 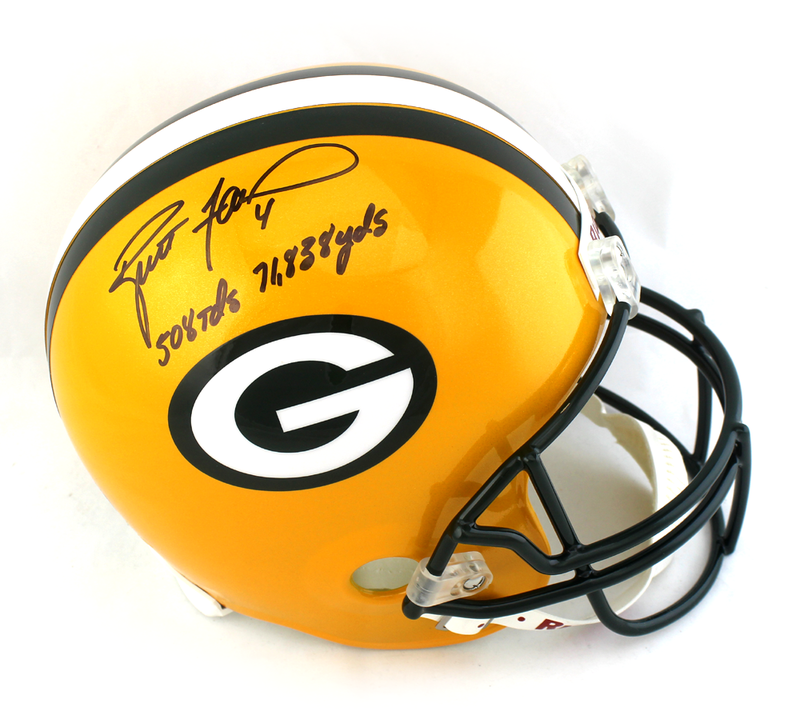 THE HELMET AND SIGNATURE ARE IN MINT CONDITION. 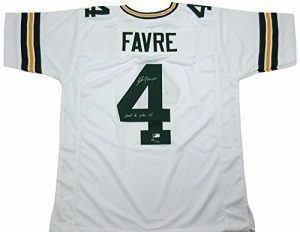 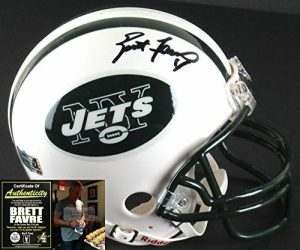 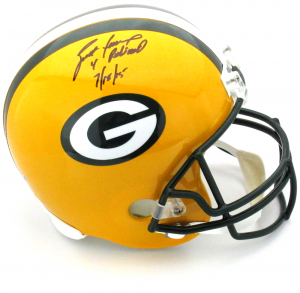 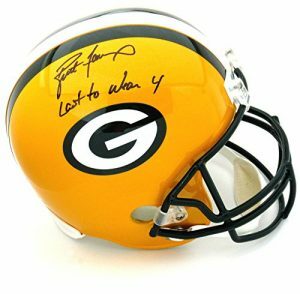 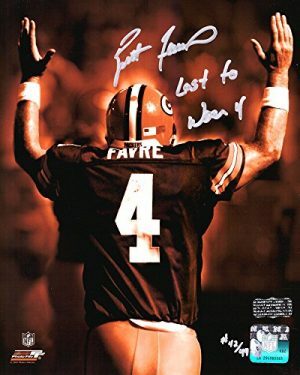 BRETT FAVRE HOLDS ALL OF THE MAJOR PASSING STATISTICS IN NFL HISTORY.BRETT INSCRIBED THE HELMET “508 TD’S 71838 YDS”.YOU CAN OWN A PIECE OF HISTORY. A HARD TO FIND PIECE FOR ANY FAN OF THE NFL CAN BE YOURS. 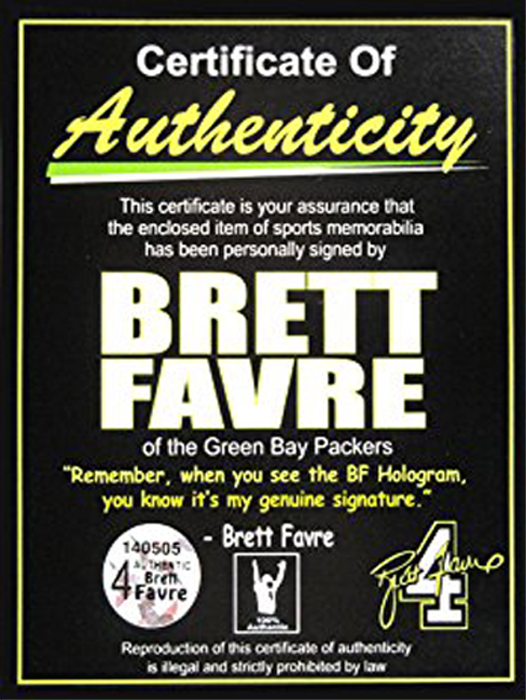 AUTHENTICATION: THE HELMET IS ACCOMAPNIED BY A BRETT FAVRE CERTIFICATE OF AUTHENTICITY BRETT FAVRE SERIAL NUMBERED HOLOGRAMS AND A PICTURE OF BRETT SIGNING.